External cladding materials are a cost-effective and appealing way to provide another protective layer to your home. The exterior cladding you choose will have a significant effect on the insulative properties of your home. There is a range of styles out there to choose from, and it’s important that you make sure the cladding materials you go for are efficient. 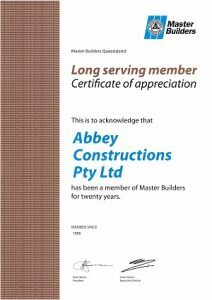 Abbey cladding is fire retardant and self extinguishing. 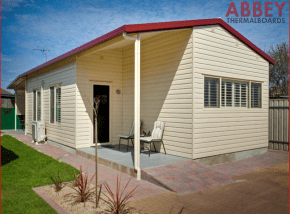 When you are looking to get cladding for your home, you want to make an assessment of a few key things and choose the type of cladding that suits your requirements. Cladding can come in horizontal or vertical boards, and can be sheets or strips depending on the design. You can also choose from a range of finishes and colours. 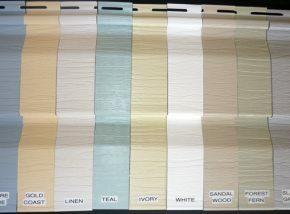 Our customers are delighted with the range of colours we have available. We stock a range of colours and finishes for every style of home and would be happy to discuss the options with you. If you live in a hot area that gets a lot of sun, make sure you choose lighter colours as they will reflect the sun’s rays and keep you cooler. If you’re in a colder area, you can steer towards the darker colours as they absorb the light from the sun and will keep you warmer in the cold climate. If you’re looking for a mixture of colours, try to limit yourself to three colours to keep things looking smooth and sleek. Want a textured finish for your cladding? We stock timber finishes to suit a wide range of applications. Our cladding range is textured to a wood grain finish that looks realistic and classic. Aluminium cladding is corrosion-resistant and comes in a variety of colours and styles. It is also a low maintenance building material. Aluminium is among the most waterproof of all the cladding materials available on the market and is well suited to fire-prone areas as it has good fire resistance. In addition to these benefits, aluminium is a recyclable product which is highly reusable if it’s screw-fixed. Speak to us today about our options. This popular cladding choice is available in a range of profiles, textures and colours and is a very low-maintenance material for your home. 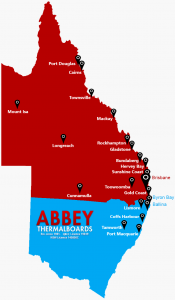 Contemporary vinyl cladding options available from Abbey Thermalboards can be both environmentally sound and aesthetically pleasing. Speak to our team of experts today to find out more about how vinyl cladding can be used to great effect in your home. Still looking for more information? No problem – we’d love to hear from you! Give us a call on 1800 621 113 today to speak to an expert about your home cladding needs.